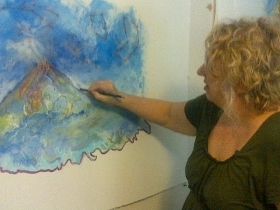 Sue working on a new painting for her first international solo exhibition. Wouldnt He Remember his First Home? What Passed For Wisdom There?